Interface do host 3 Gb/sec SAS, 4 Ports per controller. Sistema Operativo Microsoft Windows Server 2008 IA32, x64, IA64(Standard, Enterprise, Datacenter); Microsoft Windows 2003 R2; Microsoft Windows 2003 X64, IA64; Microsoft Windows Server 2008 Hyper-V; Red Hat Linux; SUSE Linux; VMware; HP-UX; Sun Solaris; For detail operating support list, please visit /storage/spock. Interfaces HDD suportadas MSA2 146 GB 3G 15K LFF Dual-port SAS; MSA2 300 GB 3G 15K LFF Dual-port SAS; MSA2 450 GB 3G 15K LFF Dual-port SAS; MSA2 500 GB 3G 7.2K LFF Dual-port SATA; MSA2 750 GB 3G 7.2K LFF Dual-port SATA; MSA2 1 TB 3G 7.2K LFF Dual-port SATA; 72 GB 3G 15K LFF Dual-port SAS; 72 GB 3G 15K LFF Single-port SAS; Supported. Suporte para expansão de aplicações (iniciadores iSCSI) MSA2000 3.5-inch disk enclosure (single or dual I/O); MSA70 2.5-inch disk enclosure (single or dual I/O). 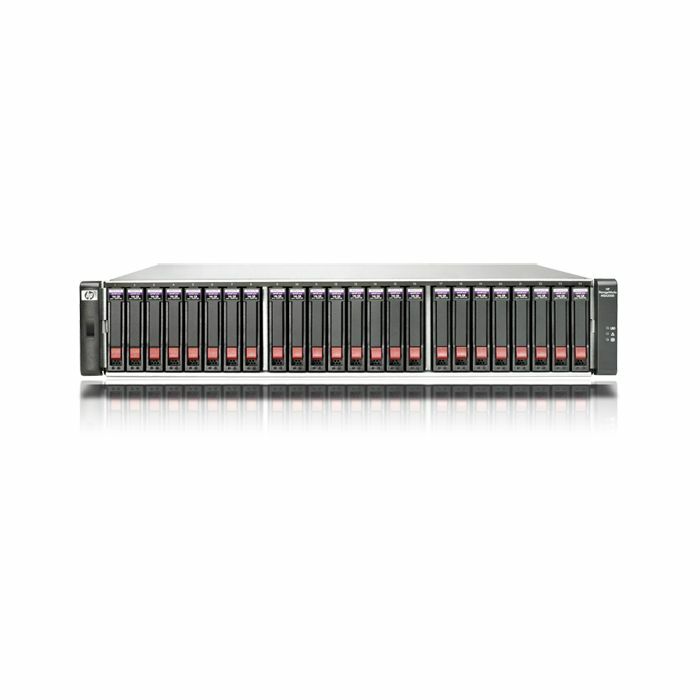 Funcionalidades 02 Highly efficient consolidation and sharing of storage geared to departmental and small to medium business requirements: Grows as the storage demands increase – up to 29.7 TB SAS or 60 TB SATA; Supports up to 64 hosts; Support up to 511 LUNs with LUN sizes up to 16 TB; Optional controller-based snapshot and clone capability for increased data protection. 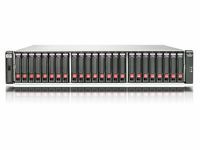 Cost efficient: Build either single or dual controller array models; Easy to manage and service; Enterprise-class SAS or archival-class SATA drives as the need and budget dictates. Flexibility in host connections, drives, high-availability levels: Dual-ported SAS drives for enterprise needs; SATA drives for large capacity, inexpensive archival storage; Mix SAS and SATA drives within the same drive enclosure. Suporte de cluster Yes; Windows, Linux, Solaris & HP-UX. Máximo de capacidade de armazenamento (incluindo compartimentos de expansão) 12 TB Maximum; Depending on drive capacity. 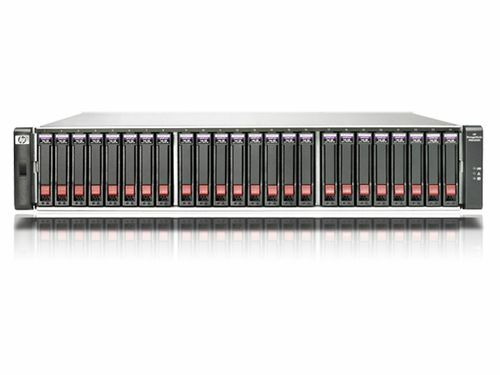 Unidade de disco 99; 99 SFF 2.5-inch drives, maximum including expansion; 60 LFF 3.5-inch drives, maximum including expansion.